Reading is one of the most powerful ways to boost your child’s brain power. The concept is simple, the rewards are priceless. 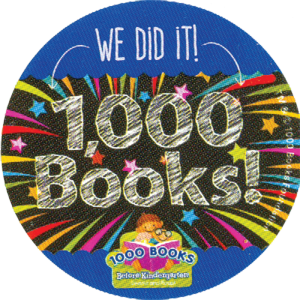 Our 1,000 Books Before Kindergarten program is a fun and exciting way to start your child on the path to success! It’s open to all children from newborn to five years, and participation is free! Head to one of our branches and pick up a 100-circle chart to track how often you read to your child, ages 0-5. Fill in a circle for each book you read with your child on your reading record. If paper isn’t your thing, you can download the free 1,000 Books Before Kindergarten app on iTunes and Google Play. If your child wants to hear the same book again and again, you can count it each time. You can also count the books your child hears at our programs, daycare or preschool, or with a friend or family member. For the first 100-book log you complete, you will receive a sticker and a special reading passport. 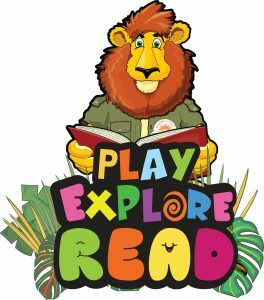 For each additional 100-book log you complete, you will receive a sticker and the prize listed in the reading passport. We will stamp the passport each time you reach a reading milestone. You did it! Come celebrate at the library, receive your certificate and free book. Does it sound hard? If you read just one book at night, you will have read about 365 books in a year; that’s 1095 in just three years. If your child completes the program, they are encouraged to complete it a second time! The program may be completed more than once. To find recommended books, search “books before kindergarten” in our catalog. For more information, see https://1000booksbeforekindergarten.org.